Breezy today in the valley and mountains, with warm and sunny conditions for the week ahead. 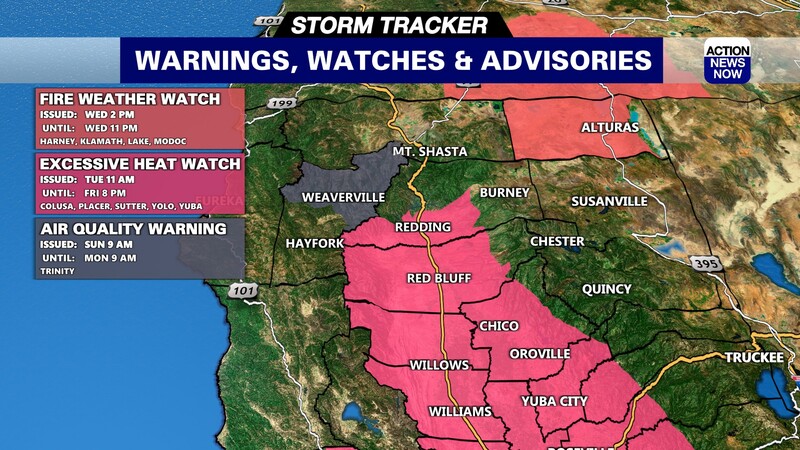 Chico, Calif.-- We're dealing with dangerous fire conditions throughout the day today across the Central Valley and southward. Despite a little rain last week, the warm and windy weekend's dried out fuels across most of the region. Plan on that Northerly breeze at about 10-15 mph, gusting up to 30mph, to continue. In the foothills and mountains winds are staying even stronger, up to 25-30 mph. 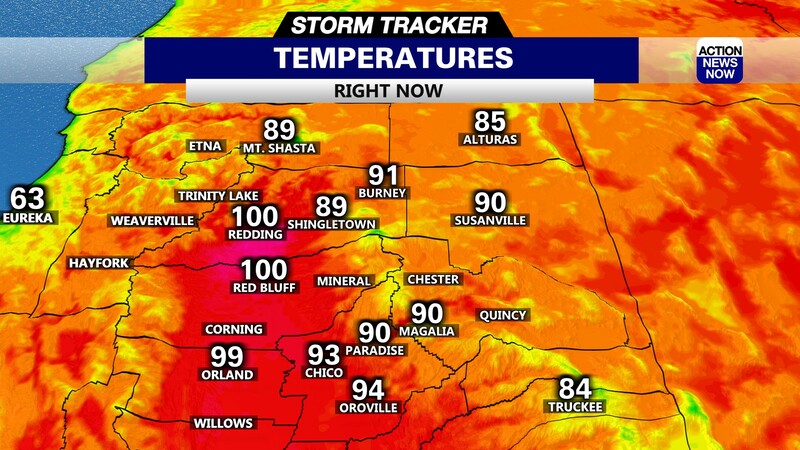 Humidity dipping low in the valley to about 15-25%. Winds will calm down by this evening and we'll see humidity climb up as a result. 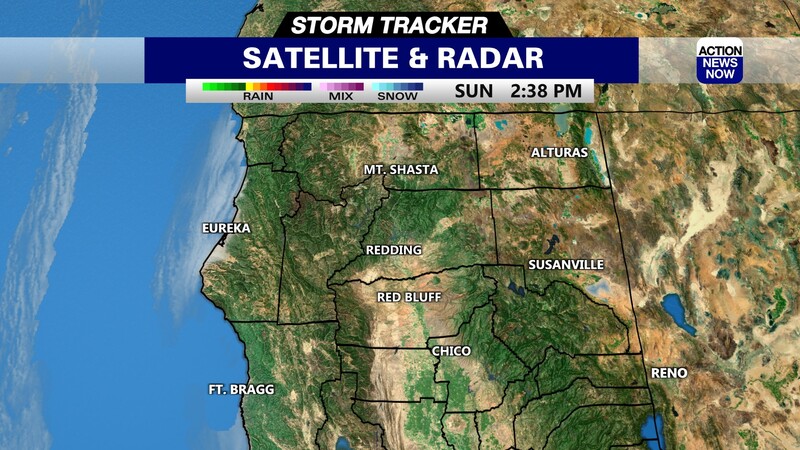 down along the East on Wednesday, bringing a few showers to the crest of the northern Sierra Nevada. Temperatures will be close to average the next few days, then are expected to cool slightly by mid-week.